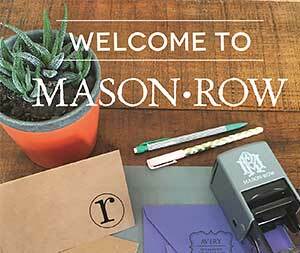 Every Mason Row stamp comes with a fully inked pad in Midnight Black. Our water-based inkpad will last for at least 1,000 impressions. Colored inks are also available in a wide variety of colors. 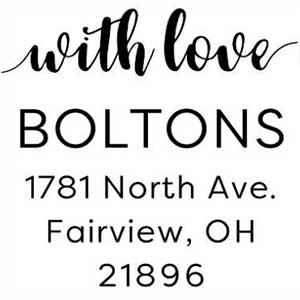 Our custom dies are laser engraved rubber, which guarantees a superb impression every time.